Do not repay debts you owe to family and friends. The trustee could look to them as preferred creditors and file a motion objecting to the payments. Your friends and family could be ordered to pay the money back to the bankruptcy estate regardless of whether they have already spent it. Do not transfer property such as a car, boat or house to another person without talking to a lawyer first. Do not run up your credit cards. Do not pay off your car loan. Do not fail to file your tax return. Even if you owe tax and can't pay, you should file a tax return. The trustee will want to see three years of tax returns. Do not make a short sale of your house. This is almost always inadvisable and could recreate significant tax liabilities that can't be discharged. Once you have signed a retainer agreement with a Fort Lauderdale bankruptcy attorney and paid your retainer, you can tell your creditor that you have hired an attorney to file bankruptcy. Give them your Fort Lauderdale bankruptcy attorney's name and telephone number. At the Bankruptcy Law Firm of Clare Casas, we are serious about stopping harassment by creditors. Upon retaining our firm, we ask you to sign a power of attorney that informs the creditor that you are now represented by our firm and that they are not to contact you anymore in reference to your debt. The power of attorney directs them to contact our firm instead. After initially consulting with a Fort Lauderdale bankruptcy attorney, do not use any credit cards you intend to include in the bankruptcy petition (which will be all of them). A creditor can file an adversary complaint against you alleging that you purposely charged substantial debt to your credit card with the fraudulent intent of not paying the debt. Adversary complaints are not included in the base legal fees for a bankruptcy and you could incur additional attorney fees in dealing with the complaint. Your retainer agreement should clearly indicate what is covered for the base legal fees and what the additional fees are for any supplemental proceedings. If your property is in foreclosure or if you are served with a foreclosure lawsuit after the initial consultation, it is important that you immediately advise your attorney - especially if a foreclosure sale date has been set. In order to save your home through a Chapter 13 bankruptcy filing, it must be done prior to the sale or it is too late. 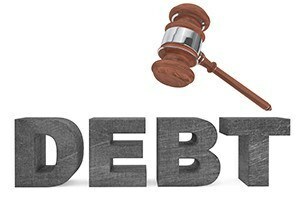 Call or email today to schedule a free consultation with our Fort Lauderdale bankruptcy attorney!